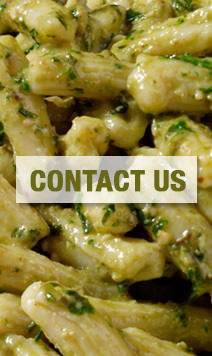 We’re always getting inspired by the fresh local ingredients we use in all of our pastas. Throughout the year, we create limited edition flavors that reflect the scrumptious seasonal harvest. Get them while you can–you may have to wait another year to get a taste! Enjoy the light, refreshing flavors of asparagus, lemon, whole milk ricotta, and genuine Parmigiano Reggiano wrapped up in our signature extra-thin pasta. Our all-natural, handmade ravioli is filled with unique bold flavors created from premium ingredients. Nothing says bright, summery flavor quite like our mix of peas, shallots, lemon zest, garlic and Ricotta Impastata wrapped up in our signature extra-thin pasta. Our all-natural, handmade ravioli is filled with unique bold flavors created from premium ingredients. Savor the peppery notes of arugula, Asiago cheese, genuine Parmigiano Reggiano, and whole milk ricotta wrapped up in our signature extra-thin pasta. Our all-natural, handmade ravioli is filled with unique bold flavors created from premium ingredients. Enjoy the indulgent flavors of butternut squash, yams, genuine Pecorino Romano, and signature spices wrapped up in our signature extra-thin pasta. Our all-natural, handmade ravioli is filled with unique bold flavors created from premium ingredients. Gnocchi and ravioli combine with a filling of potatoes, heavy cream, truffle, genuine Pecorino Romano, and chives wrapped up in our signature extra-thin pasta. Our all-natural, handmade ravioli is filled with unique bold flavors created from premium ingredients. Does your pasta craving have a sweet side? Try our dulcet filling of yams, figs soaked in port wine, and orange juice wrapped up in our signature extra-thin pasta. Our all-natural, handmade ravioli is filled with unique bold flavors created from premium ingredients.